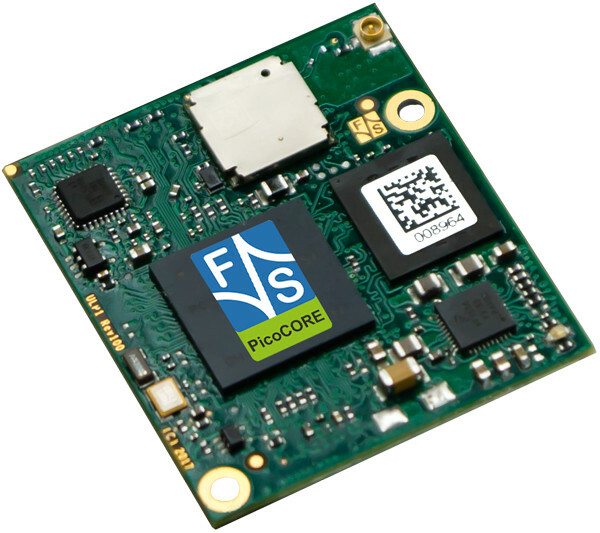 F&S announced their tiny PicoCore MX7ULP module, which is able to run Linux or FreeRTOS on an NXP i.MX7 SoC. 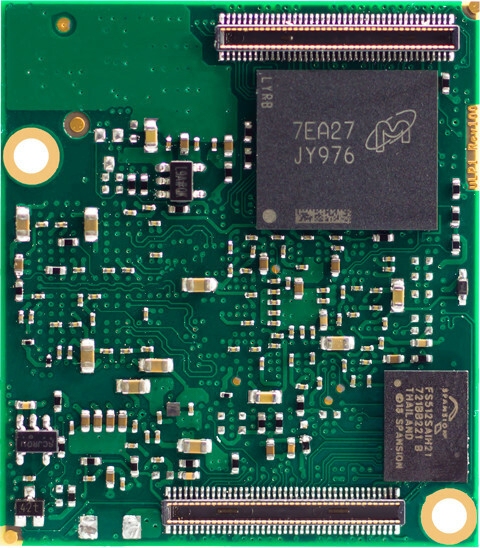 The board comes with up to 32GB eMMC plus optional WiFi/BT and extended temperature support. 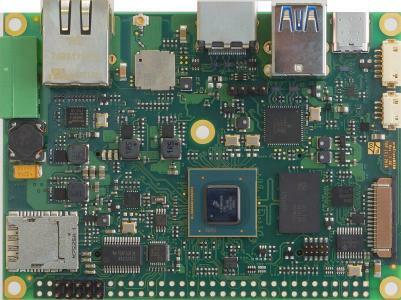 The new board measures only 40 x 35mm and will be presented on Embedded World (Feb. 27-Mar. 1) with expected shipment in the third quarter 2018. 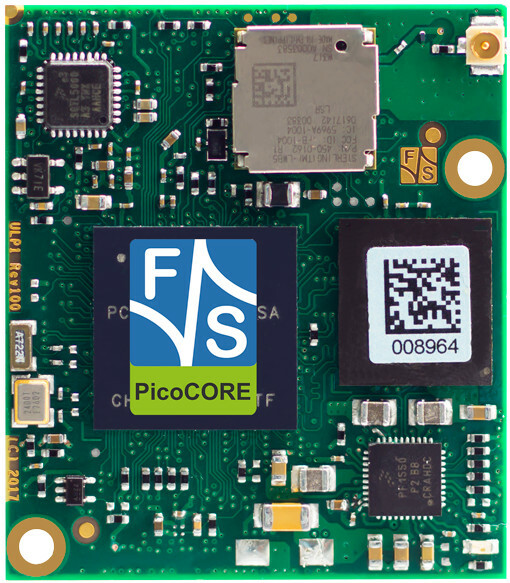 The PicoCore module doesn’t have an edge connector, instead interfaces with a 2x 80-pin Hirose DF40C plug connectors. 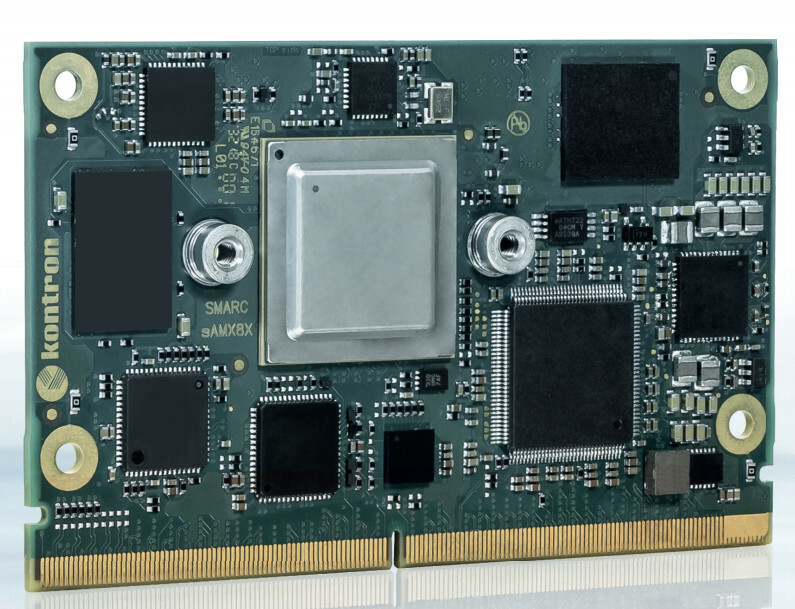 The PicoCore MX7ULP ships with up to 1GB LPDDR3 RAM, 64MB SPI NOR flash, up to 32GB eMMC, and an optional SD slot. 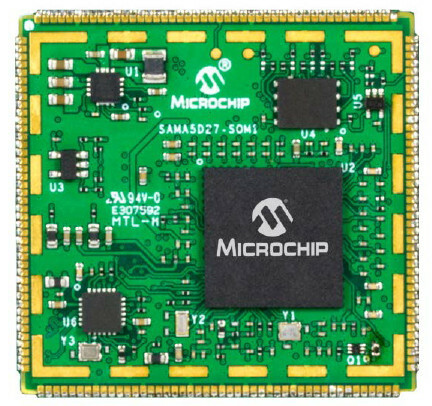 There’s also an option for a wireless module with 802.11b/g/n and Bluetooth 4.1 LE. For display, you get a MIPI-DSI interface that is accompanied with I2C-based resistive and capacitive touch support. Additional I/O includes USB OTG, SPI, 2x I2C, 33x general purpose DIO, audio interfaces, and 2x UARTS. The 10-gram board runs on 5V DC power (or a 4.2V battery) and consumes a typical 1W. 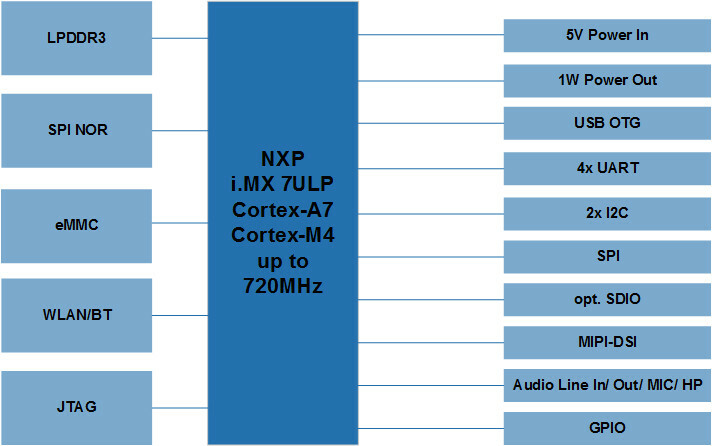 For more information, please visit F&S Elektronik Systeme’s PicoCore MX7ULP announcement and product page.